When I first came across this book, I knew I had to get it. Set in one of my favorite time periods, that being feudal Japan, and by one of the most talented guys in the business, Victor Santos (Mice Templar, Violent Love), right off the bat, my expectations rose. With Rashomon, even my loftiest of expectations were blown away. Originally published in Spain and brought to the United States thanks to Dark Horse, this collection is something special. Divided into two parts, the book follows Detective Heigo on two cases: one of the murder of a husband where the wife, a thief and a spirit all come into play, and the second about conspiracy, honor, and the well-known story of the 47 Ronin. Santos’s artwork is stunning, and harkens back to the noir seen in Frank Miller’s classic Sin City. 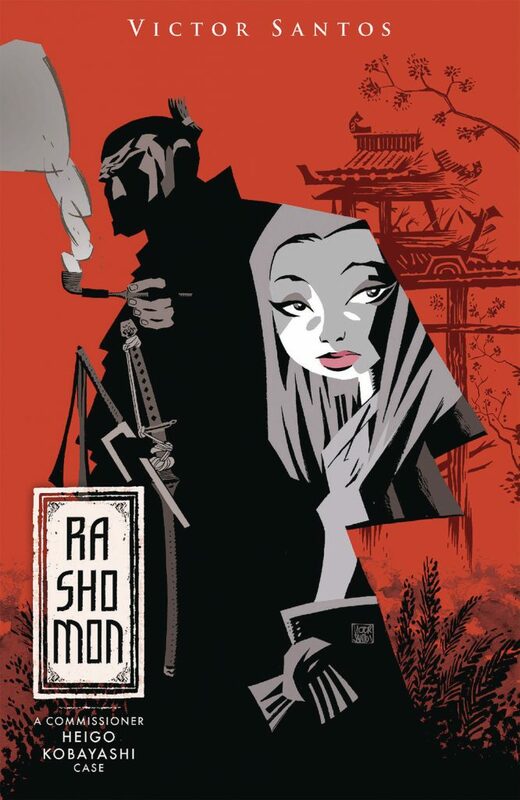 This is very much a noir book, set two the wondrous backdrop of feudal Japan. Complete with samurai, sword fights, and the fabled Hattori Hanzo. Santos shows his mastery of the sequential art form, giving us beautiful two page spreads, some with zero dialogue, page layouts that shatter any preconception of what a comic book “should” look like. Both tales here are fantastic, with characters and stories that tie the two together. I, for one, would love to see more from Detective Heigo. It felt like a crime TV show, but with samurai. Great characterization, emotional moments, twist, turns, and one of the best graphic novels of 2017.